Camera-trapping (where the movement of wild animals past a camera triggers it to take photos) is a vital research tool in this landscape, especially outside the Park where wild animals are often secretive and hard to see. 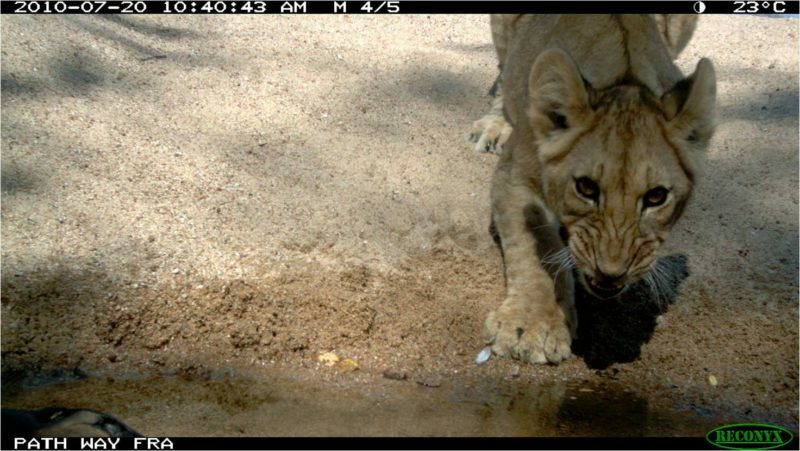 We have established networks of camera-traps in the National Park, in the adjacent Wildlife Management Area (WMA) and on village land in order to collect information on the distribution and ecology both of large carnivores and their prey. Our camera-traps have collected millions of images so far, which is incredibly informative as well as extremely time-consuming for the research staff, as each image has to be examined and the species identified and counted. Engaging citizen scientists in this research will make this process far more efficient and is something we are developing with partners. 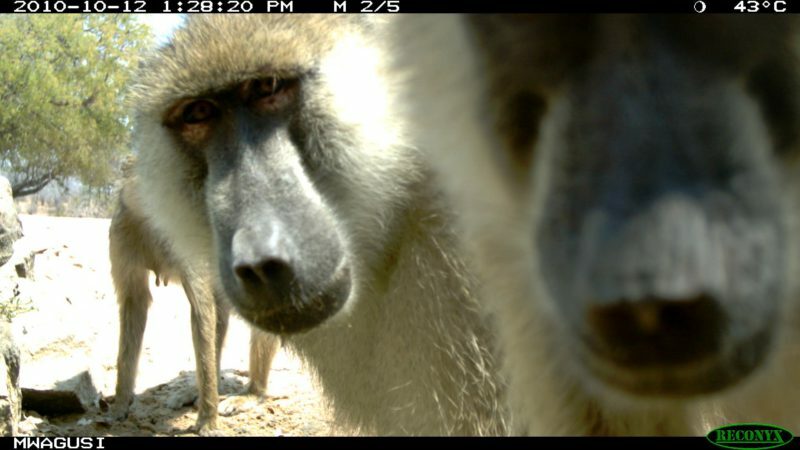 Camera-traps provide a wealth of data on wildlife presence, habitat use, demography, behaviour, population size and many other aspects of ecology. We have combined these data with information from our sightings programme to develop habitat suitability maps for lions, spotted hyaenas and leopards. 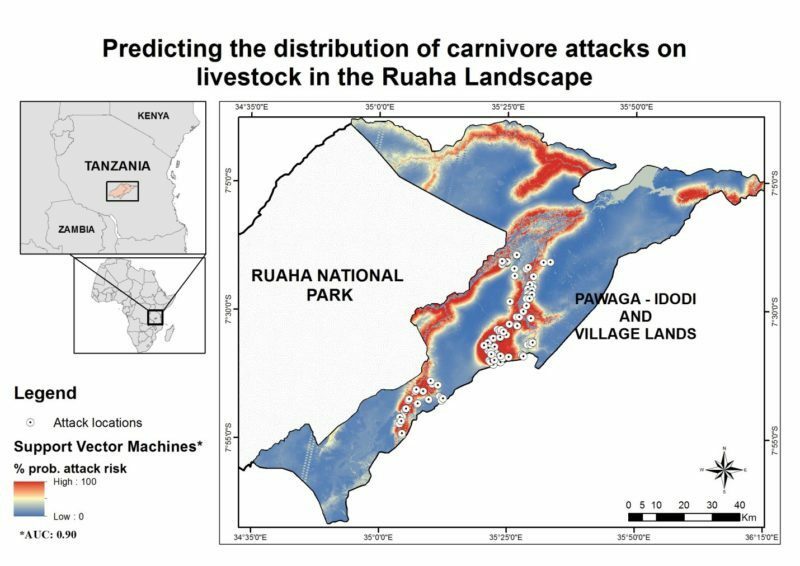 The data also allow us to pinpoint areas of likely high risk for carnivore attacks and conflict, so that we can target our mitigation efforts in those hotspots, and ideally prevent conflict and carnivore killing before it occurs. 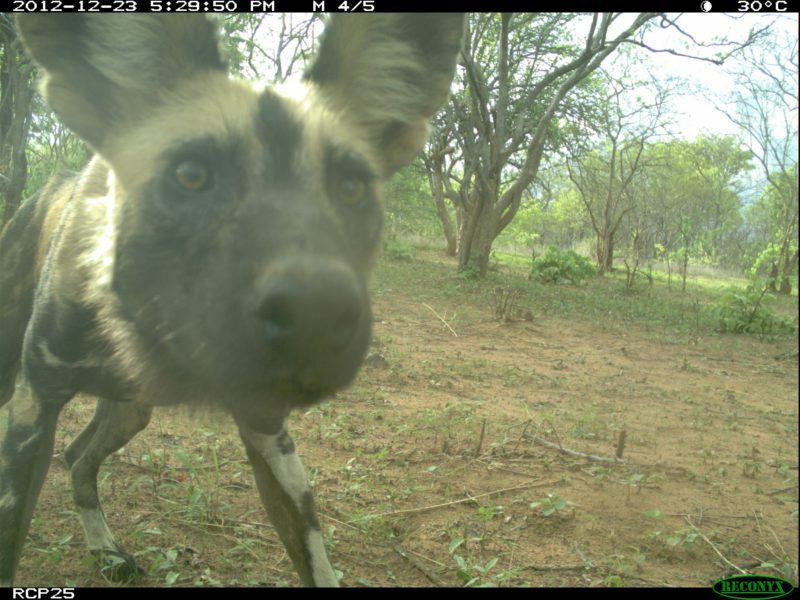 We are also using data from the camera-traps placed by villagers as part of our community camera-trapping initiative to collect information about how carnivores are using human-dominated land, as that will further inform our conservation planning and conflict mitigation work.